When I think of Alaska, I think of The Simpsons Movie. I can’t help it – it’s one of my kids favourite movies and we have seen it many times. In the movie, Homer and his family flee to Alaska after accidentally polluting their hometown of Springfield. Even before seeing the movie, going to Alaska has always been a bucket list item for us. I would love to take an Alaska cruise with the kids which several of our friends have already done. 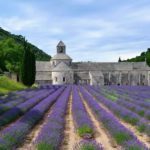 When Lonely Planet put it on their must-visit regions to visit in 2018, I knew we would have to visit sooner rather than later. Planning a trip to Alaska though is a daunting task. Luckily, I have met with the Alaska tourism board at a trade fair recently and I’ve solicited the advice of some travel blogger colleagues to get ideas for an Alaska itinerary together. Alaska is beautiful in every season not just summer. 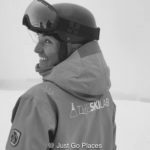 The biggest gating factor for a planning a trip to Alaska seems to be revolve around the best time of year to visit Alaska. The best time to go to Alaska seems to be when you can get there!! I automatically assumed summer would be ideal. 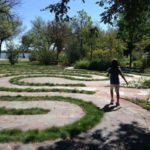 You get long days with about 20 hours of sunshine (the so-called Midnight Sun like in Iceland) and milder weather with high temperatures around 70 degrees Fahrenheit. The downsides? We are talking peak season prices from about mid-June to mid-August. AND, rain. Coming from England I cannot cope with a rainy summer. After all, it’s why we escape England every summer in the first place. July and August are cloudy and rainy. Did you know that there’s over a 50% chance of rain in Anchorage in August?? And you get mosquitoes! I assumed it was too cold for mozzies. Nope. There are over 35 types of Alaskan mosquito all waiting in swarms to feast on some sweet human blood. So bring your DEET infused repellent. None of that namely-pamby organic insect repellent for these hardy mosquitoes. So when is the best time to visit Alaska? There seems to be a sweet spot during the early weeks of June where the daylight is plentiful, the rains haven’t started and swarms of mosquitoes aren’t ravaging the land. Similar to what we heard in Iceland though, the weather in Alaska is very variable. Or, you can visit in Winter (pretty much the rest of the year that isn’t considered summer). Winter is traditionally not considered the best time to visit Alaska but there is still plenty to do! You can see the world-famous Iditarod sled dog race, hunt for the Northern Lights or enjoy winter sports like snow-shoeing ice-skating, skiing and snowmobiling. In Fairbanks, every March there is the World Ice Art Championship which reminds me of the preview of the Harbin Ice Art festival we saw in Washington D.C.. At the Fairbanks Championship though, you have tens of thousands of visitors who come to see the work of 75 teams of ice artists. The Iditarod Sled Dog race starts from Anchorage in March of every year. 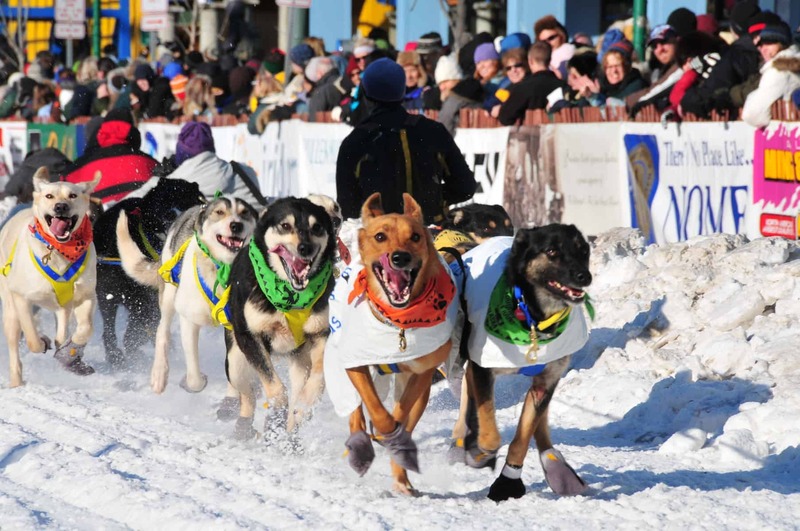 It is one of Alaska’s biggest sporting events and a test of endurance for man and dog alike. There are two routes the race takes (a Northern route and a Southern route) which gets alternated annually. Each route covers about 1000 miles of frozen Alaskan landscape. The mushing teams can take up two weeks to finish the race. Also in Anchorage in February you get the annual Fur Rendezvous festival (the Fur Rondy). 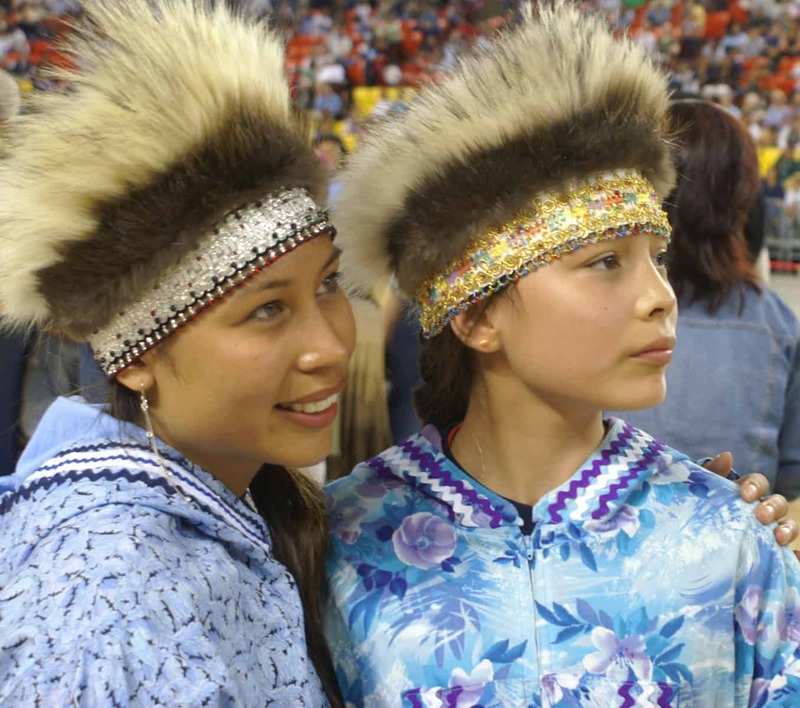 Over the course of 10 days, there are a lot of activities, a carnival, a running with the reindeer (based on the famous Running with the Bulls in Pamplona), snowshoe softball and an Alaskan Native Blanket Toss and tribal dancing. If you love a good rail tour, check out Alaska Railroad’s Aurora Winter Train. This train goes from Anchorage to Talkeetna, through the Denali National Park all the way to Fairbanks. 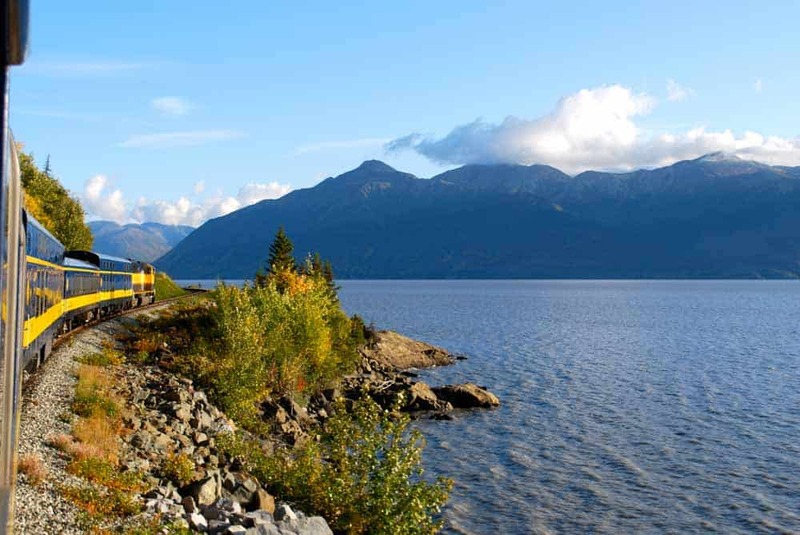 The Alaska Railroad may be more expensive than driving but you will be able to enjoy the scenery! If you time it right, you can do the Hurricane Turn Train which runs the first Thursday of the month. This train goes from Anchorage past Talkeetna into the back country which seems to be another 55 miles north to the town of Hurricane. You can either stay on the train or get off and go hunting and skiing. Perfect for mixed ability families like ours – my daughter and I would stay on the train and drink hot chocolate while my son and husband can go skiing in the near-Arctic. The Alaska Railroad runs regularly in both summer and winter. 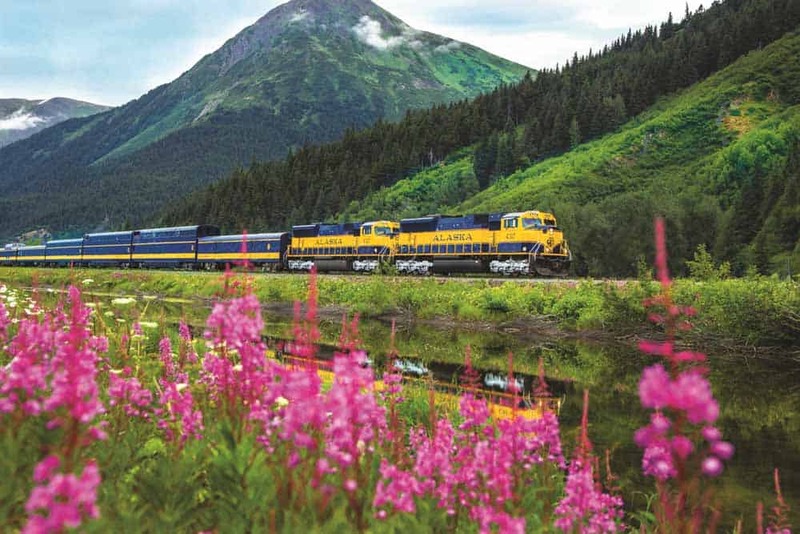 The Alaska Railroad Tours people can even arrange for you to have a guided day tour from Fairbanks of Denali National Park. These tours run on Saturdays. You will get to experience the 6 million acres of Denali with few people but lots of wildlife and snow. Note that unlike Yellowstone and other national parks, Denali National Park doesn’t allow private cars on its one and only road. You have to take the tour buses (with an option of tour lengths and narrated/non-narrated). By far the most popular way to see Alaska is on a cruise ship. In fact, about a million visitors a year visit Alaska on a cruise. We would love to do an Alaska cruise with kids one-way but would definitely want to tack on an extra week (at least!) to explore the state. Getting to Alaska usually involves getting to Anchorage. There are plenty of flights in and out of Ted Stevens Anchorage International Airport. As discussed, you can take a cruise into Anchorage itself which is a fantastically picturesque way to enter into the city. If you feel like being adventurous, the Alaska Marine Highway has state-operated ferries that run along the coast. You can take your ferry (with your car) from Bellingham, Washington State up to Anchorage. For the ultimate road trip, take the Alaska Canada Highway which runs more than 200 miles from the British Columbia border to Anchorage. Built in 1947 as part of World War II defines efforts, it was said to be an engineering marvel to rival the Panama Canal. 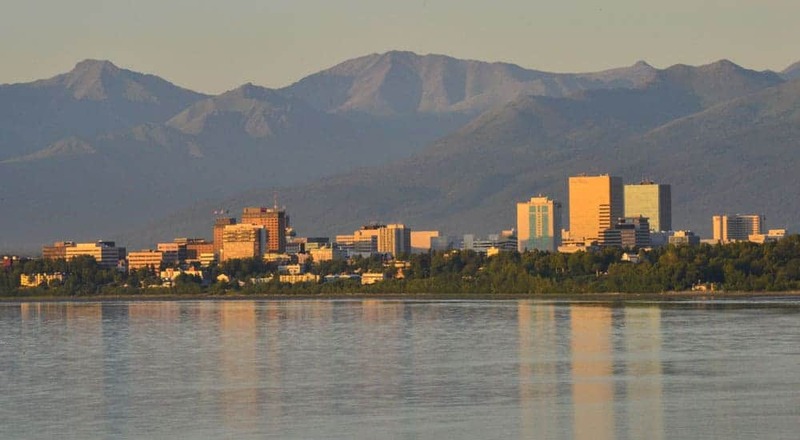 Anchorage has a beautiful setting surrounded by water and mountains. Wildlife Viewing – You are spoiled for choice if you enjoy watching wildlife such as moose, beaver, bear and wolves. For guaranteed wildlife spotting, you have the Alaska Zoo located in a forest near Anchorage, the Alaska Wildlife Conservation Center, a conservation centre a bit further from Anchorage and the Alaska SeaLife Center, a marine research facility in Seward. 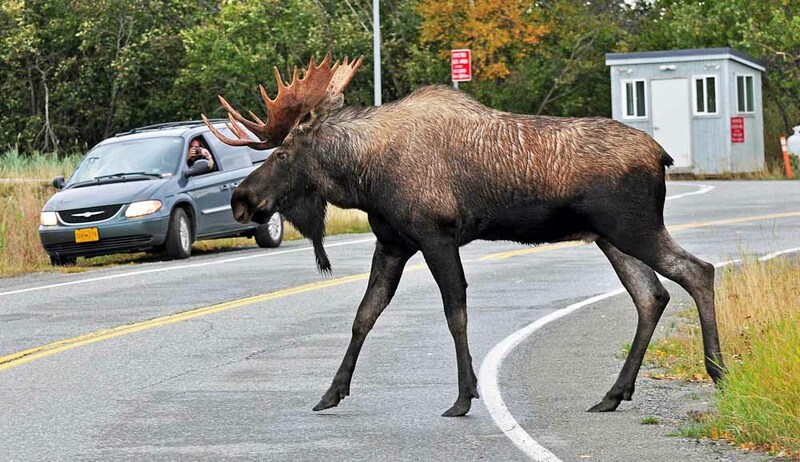 Watch out for wildlife on the road in Alaska! Explore the National Parks – From Anchorage you have access to five national parks – Kenai Fjords (see whales and otters), Katmai (get your fill of bears), Lake Clark (bear viewing and hiking, kayaking and rafting), Wrangell-St. Elias (see giant glaciers) and Denali (home to America’s tallest mountain). Enjoy all that water provided by the lakes and glaciers with rafting tours, jet boat safaris, kayaking and canoeing tours. 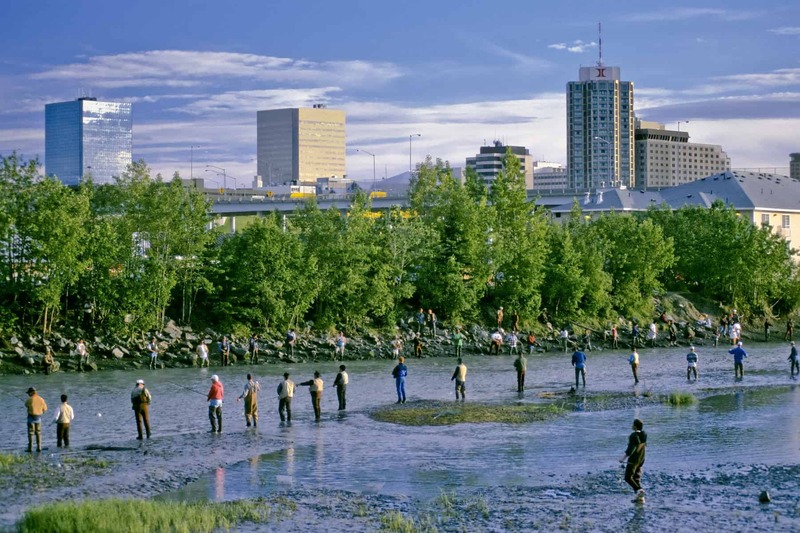 If you are into fishing, Anchorage is considered one of America’s best fishing spots. Grab a wetsuit, even stand up paddle boarding (SUP) is becoming a popular activity. Festivals and Events – The summer has lots of festivals happening like the Alaska State Fair. In winter, you get events like the Fur Rondy mentioned above. Flightseeing – Alaska is a massive state but has only 10,000 miles of road. You can charter a small plane to take you into the wilderness and the flight itself is the real trip not the destination. It’s expensive but worth it! 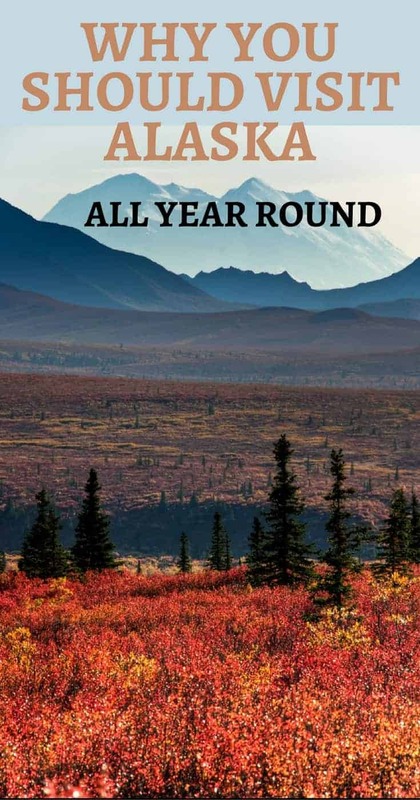 Take a flight to/from Denali National Park! My husband is one of those people that will not do anything without checking it out on TripAdvisor. Here’s a link to TripAdvisor Alaska if you, too, need to know what conventional wisdom recommends for planning a trip to Alaska. I have asked four of my well-travelled colleagues for their recommendations on going to Alaska. I hope these travel bloggers ideas help you plan an unforgettable Alaska itinerary. My husband’s 50th birthday gift was a trip to wherever he wanted. Finally, after a couple of years, he made his decision: Alaska. 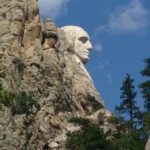 Over the course of ten summer days that year, we were able to taste the monumental experience that the Last Frontier gives to first-time and repeat visitors alike. 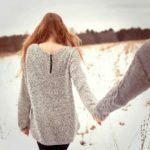 You always leave Alaska wishing you’d had more time. 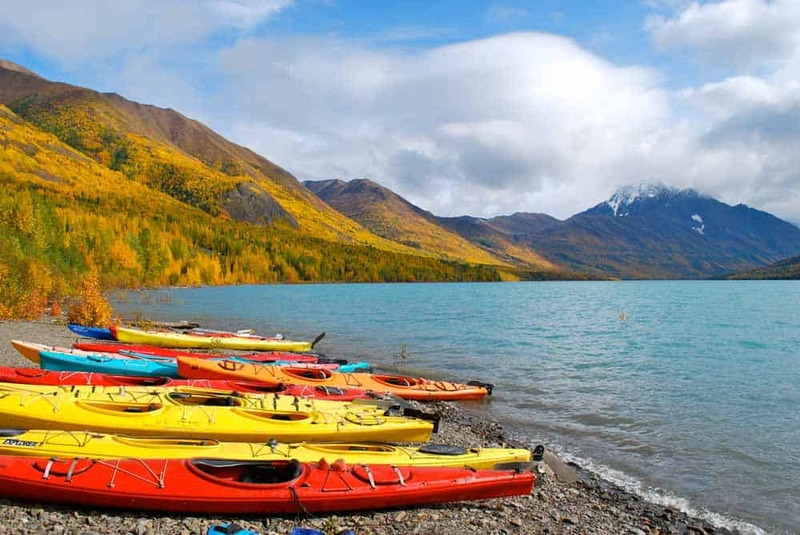 Alaska is the perfect destination for travelers who love nature and have a sense of adventure. Whether it is kayaking alongside whales, hiking through its many parks, or checking out Gold Rush history, there’s plenty to do and lots of gorgeous views to enjoy. It’s also a great spot for a family vacation, as Alaska offers so much for the young and the old and everyone in between. Dog sledding and taking a train ride through the scenic White Pass and Yukon Route are just two of the many family-friendly activities available. And there’s no need to rough it in Alaska these days. 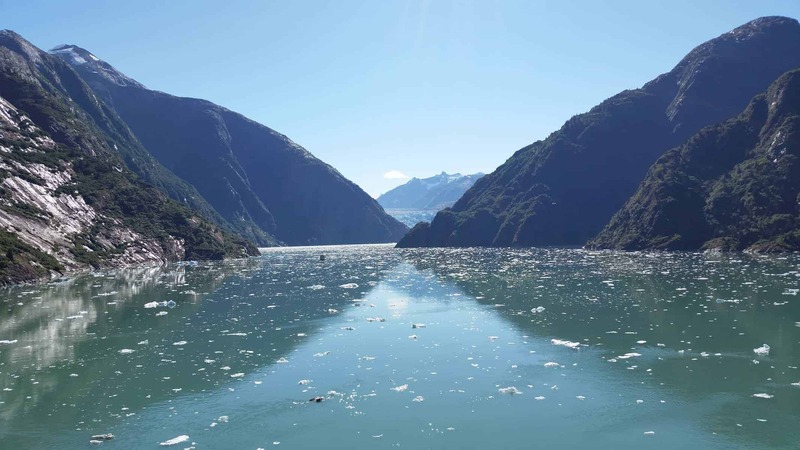 There are so many cruises that operate in Alaska that it’s easy to enjoy the scenery of the Last Frontier while having the luxuries of cruise life. 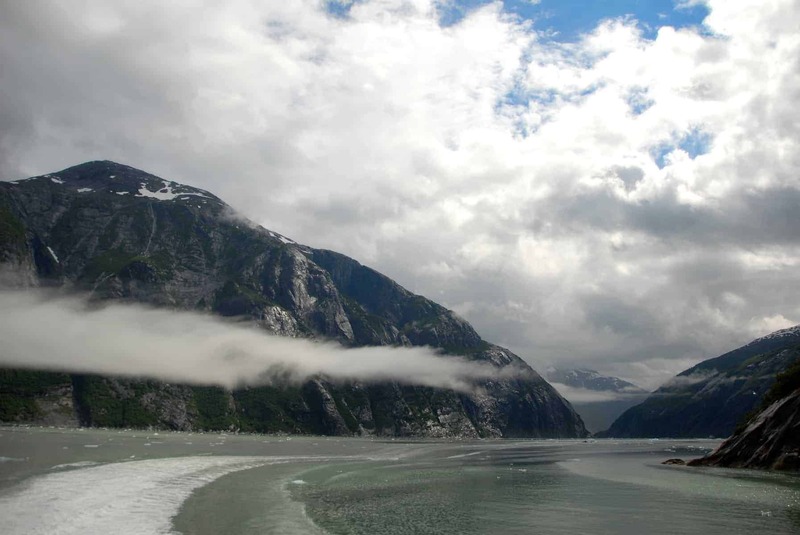 An Alaska cruise with kids is an easy way to explore the state. Mid- to late summer is a great time to visit for first-timers looking for a taste of Alaska, as the weather is mild and still amenable for most activities. Make sure to kayak to Eagle Islands, hike the Mendenhall Glacier, and sail through the Inside Passage. There’s nothing like being reminded of Mother Nature’s awesomeness like passing through humongous glaciers and feeling like a little ant. Summer is also prime time for salmon fishing, or for those who lack the patience for fishing, salmon eating! If there is one place to put on your bucket list in 2018 it’s Alaska. There are so many amazing places to go to in Alaska and things to see but the best way to explore the state is by car. No matter if you fly in and rent a car in Alaska ( a car is a must) or drive to Alaska. We drove from Wisconsin to Alaska on the Alcan highway. The best time to visit is June & July but expect almost 24 hours of sunlight, if you plan on camping bring a mask as it’ll never fully get dark. 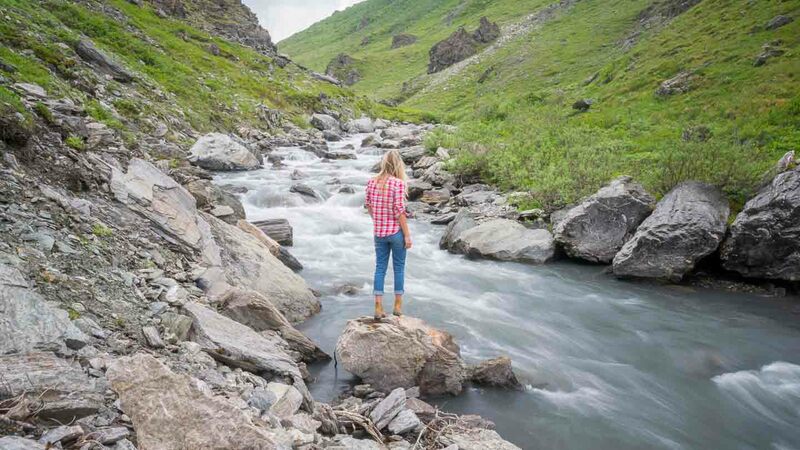 One of the most scenic places is Hatcher Pass. We literally drove the stretch four times and camped in our campervan on the side of the road so we could wake up to the views. Other places not to miss are Denali National Park, Talkeetna, and Homer. If you’re on an Alaskan cruise you’ll get your fill of glaciers but if you’re on land head to Seward or Whittier for a full day glacier cruise. We even saw humpback whales! There are few places left in the United States that are truly untapped wilderness; yet almost the entire state of Alaska fits this description. It’s no wonder America’s 49th state made Lonely Planet’s Top 10 Places to visit in 2018: it is on many traveler’s bucket lists. The majority of visitors arrive via cruise ship, as we did when we visited in July 2017. At first glance, many of the cruise ship ports are disappointingly small and touristy, but just beyond them there is wilderness to explore – even if you only have one day in port. An eight-mile hike, led by Packer Expeditions, through the Alaskan wilderness up a glacier is the perfect way to spend the day in Skagway – even if it’s pouring rain (which it does often in this temperate rain forest). Ketchikan, a popular cruise port in southeastern Alaska, is home to a red-light district that functioned well into the 20th century. But instead of spending your time with “working ladies,” hop in a kayak with Southeast Sea Kayaks to explore nearby Orca Cove, where you’ll meet Wilbur the seal and possibly catch a glimpse of orca whales. Regardless of what you do, Alaska’s wilderness is best seen outdoors on the water, on a hiking trail or from a seaplane. What do you think of a trip to Alaska? 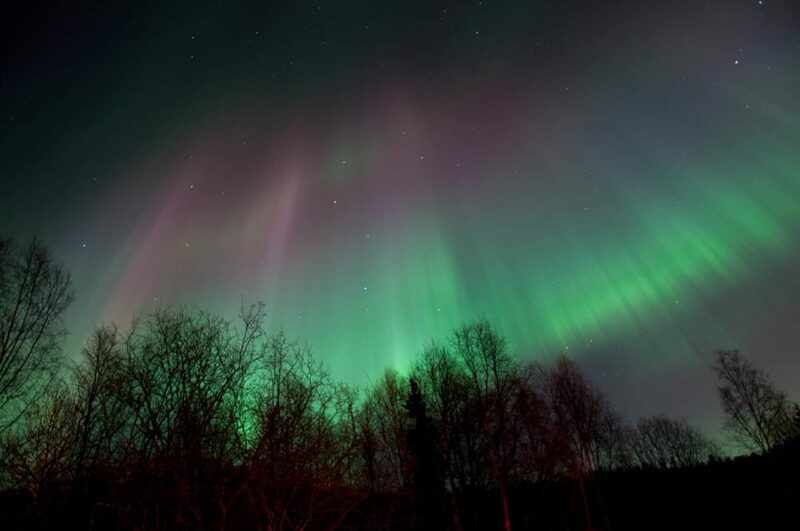 We are torn between having the long warm days (and mosquitos) of summer and seeing the Northern Lights in winter. Such a wonderful place. It’s my dream to visit Alaska at least once in a lifetime. Thanks for sharing amazing pictures. Good work, Keep it up. Fantastic photos! Seeing the Northern Aurora is definitely on my bucket list! I have only seen a partial Northern Lights showing. me too! we saw them in Iceland but it wasn’t the blaze of color you see in other people’s photos. We had a bit of green and orange flickering. So I definitely want to see the full thing. So i was lucky enough to take my mom on an Alaskan Cruise out of Seattle. It was marvelous and she loved just sitting by the big windows and admiring the views of the fjords. We even got to go see Mendenhall Glacier. But with that said, when I returned and looked at my scratch off map, I realized that I never saw the mainland of Alaska and its gigantic! So I really want to go back and explore Anchorage, Fairbanks, & the Denali Park. What an amazing landscape & outdoor adventure that would be. Personally I didnt even realize that there were great train tours. I may have to surprise Darcee with that because she loves trains and to watch the landscape while listening to the roar of the train is probably heaven to her. Thanks for the tip of Alaska Railroad’s Aurora Winter Train! I think an Aurora winter train is the way to go personally! We saw the northern lights in Iceland and it was freezing. absolutely freezing. tucked up in a train looking up seems a way more comfortable way to see them! Nice article what a nice place, looking forward to my next holidays, I can bet would be Alaska! Would be in summer so I will try to do some water sports, I love kayaking…. my family love kayaking too! It’s a great way to get up and close to the scenery that you just can’t in a motor boat. I’ve always wanted to go to Alaska and this just pushes me to do it now! Thanks so much for sharing.